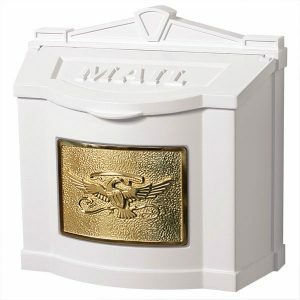 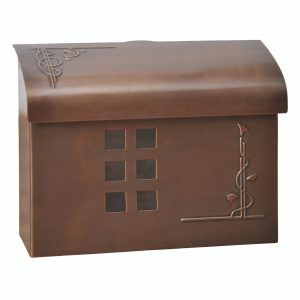 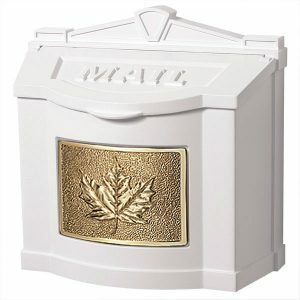 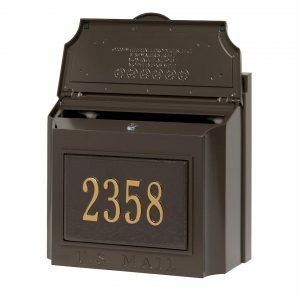 Designed to hold large magazines, catalogs & bundles of mail. The body is die cast from the highest quality grade A-360 rustproof aluminum. The accent plaque is either powder-coated aluminum or you may choose the solid brass plaque in either antique bronze finish or polished brass. 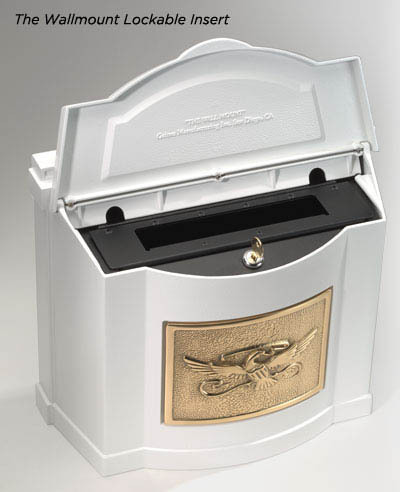 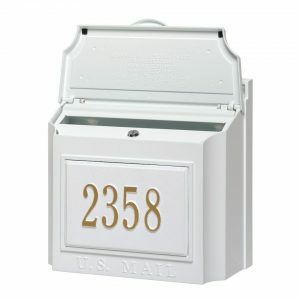 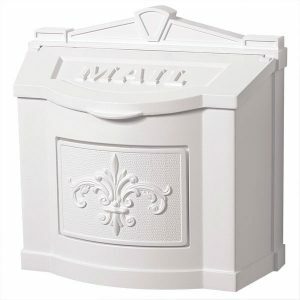 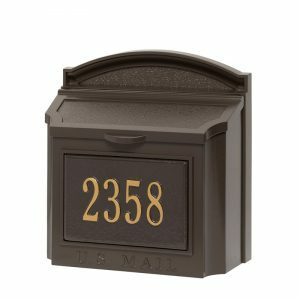 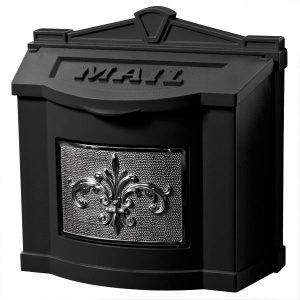 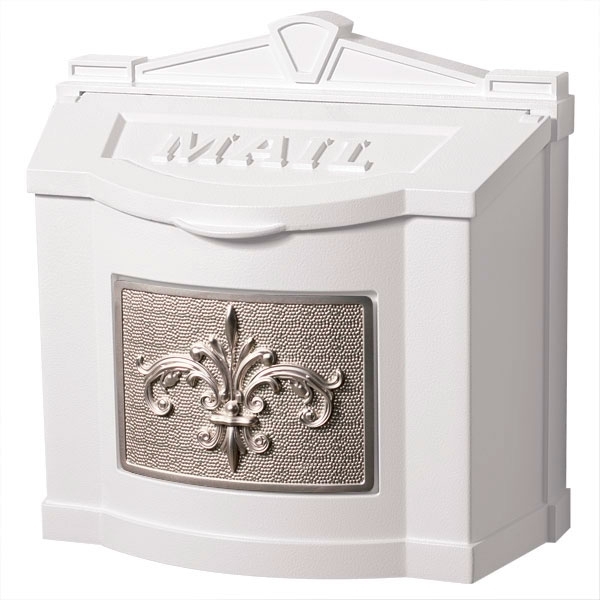 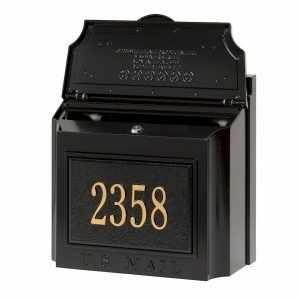 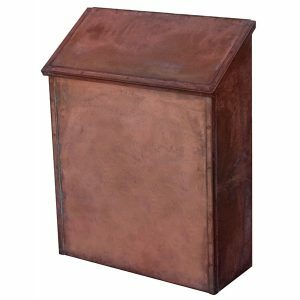 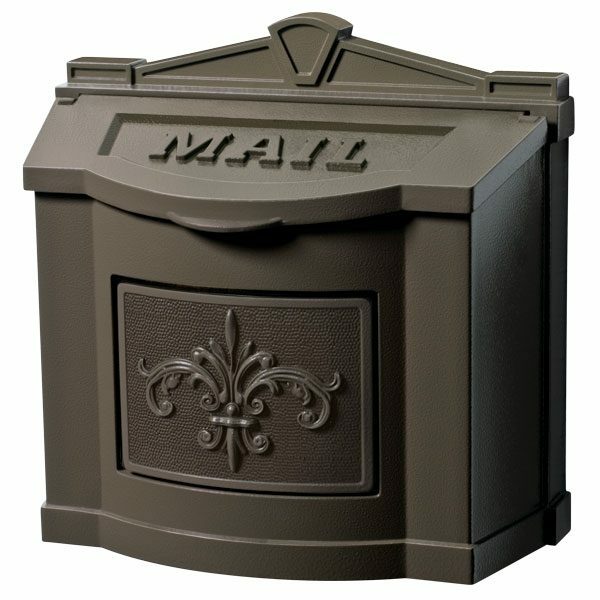 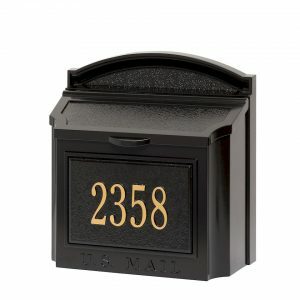 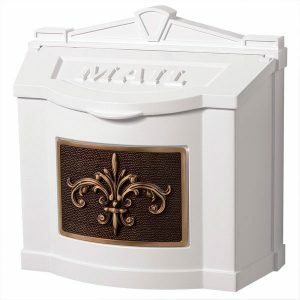 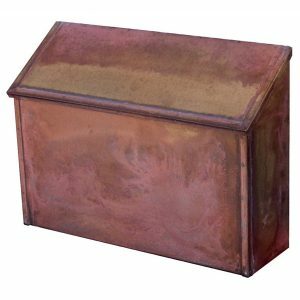 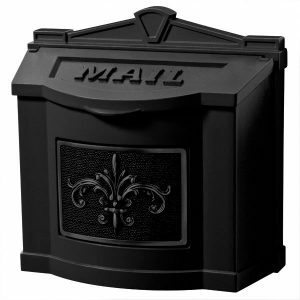 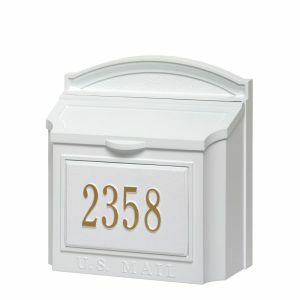 All mailboxes are finished with a “state of the art” five stage powder-coat paint process for beauty and durability. 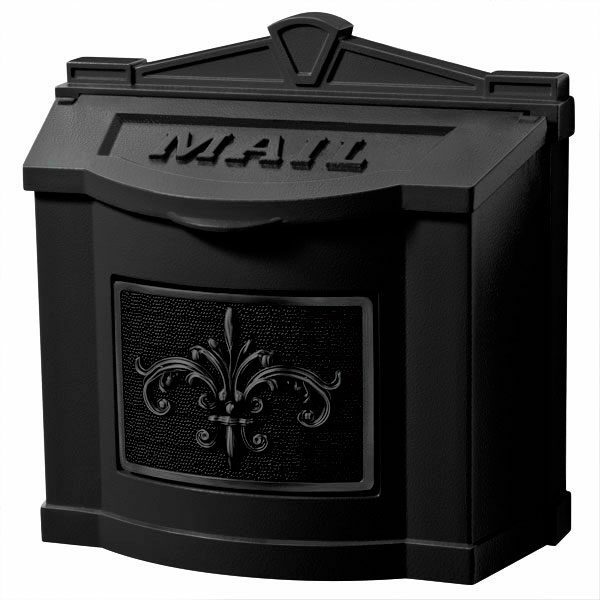 The mailbox door will stay in an upright position if desired and softly closes on pads for easy and quiet operation. The “Wallmount” comes complete with mounting hardware, installation instructions and a mounting template.